Sister Fatima had twin girls and, like many Muslim brothers and sisters, chose to have a aqeeqah for them (the Islamic tradition of sacrificing an animal after a child’s birth). So when she and her husband did the aqeeqah, they asked their family to give du’a (prayer) instead of gifts. But if family felt compelled to give something physical, Fatima asked that it was a donation on behalf of her girls to Zakat Foundation of America (ZF). She chose ZF because she’s worked with the organization for years, largely with a youth group called Sisters Stepping Up (SSU). 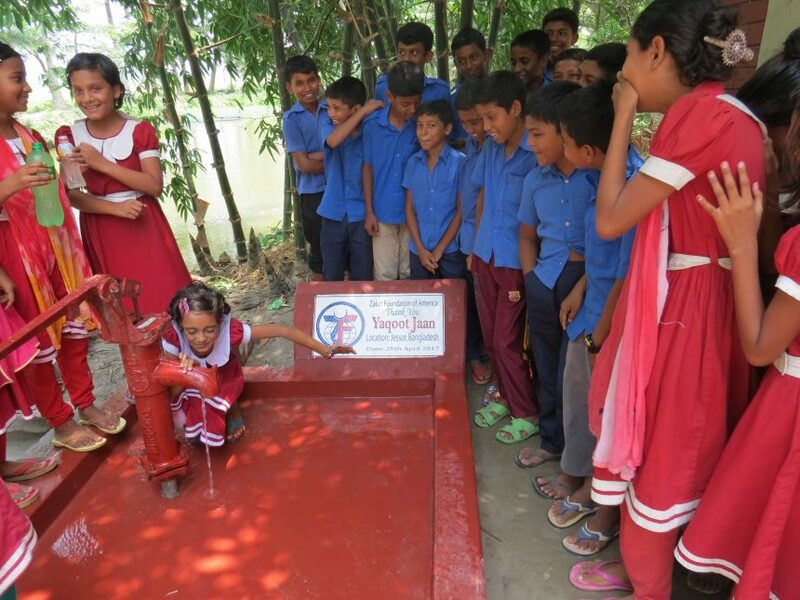 The group raised enough money to build seven water wells with ZF. Sister Fatima said when she raises money, it’s always for a water project. In the case of her daughters’ aqeeqah, the family raised enough to construct two water wells in Ghana, each in a different village. At the time, she wasn’t sure she’d get enough money for the well. She said some relatives were upset at the idea because they felt they were being deprived of giving their nieces gifts. She added that she was partially inspired to do this because of a wedding she attended. There were cards on the table that said donations were made to a nonprofit in place of a party favor. Now that her children are older, Sister Fatima and her husband went back and showed them the impact of the water wells built on their behalf. She said she didn’t want her kids to have so many toys and clothes that they didn’t need, or that they’d quickly outgrow. Instead, she and her husband wanted to show their gratitude to God for being blessed with children. They figured the best way to do that was through charitable giving, she said.